Seichim Reiki (from the Egyptian word Sekhem) translates into English as "The Power of Powers". Seichim is an ancient and sacred advanced form of hands on healing and is the parent energy of all hands on healing systems. Seichim was rediscovered in the early 1980's by an American Reiki Master/Teacher, Patrick Zeigler. Patrick prayed, meditated and fasted to be empowered, much the same way Dr Usui did when he rediscovered Reiki. Finally Patrick had a vision of a divine feminine energy from, Kuan Yin, She is often present when Seichim is being channelled and is one of the most accessible entities. It is believed it was she who gave Patrick the sounds and symbols and the information necessary to initiate himself and to share this process with others. Later, Patrick met Tom Seaman from Idaho and initiated him into Seichim. Together they met Marat, an old Seichim teacher from Southern India and he passed on the history of Seichim as it had been handed down to him from his teachers and to them by their teachers. 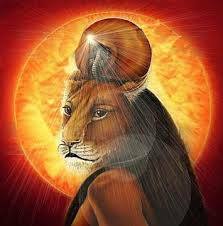 Marat told of how Seichim originally came from Egypt and was connected with the Goddess Sekhmet. It was translated and transcribed from hieroglyphs by the Shin Yon Buddhists of that time and taken back to India and Japan. There was a renaissance in Southern India with many races sharing wisdom, knowledge and healing practicals. Around 1220AD Mongolian hordes descended upon and conquered the area. Many fled and retreated to the safety of the mountains of Tibet before moving to China, India, Japan and other parts of the world including Australia and Polynesian Islands. Perhaps this explains many similarities between hands on healing systems, eg. Reiki, Regennisis, Ki Force, Seichim, Huna Karne and others. Note: It is also of interest that while on holiday in Egypt, Lyn Brunnell, traditional Reiki Master/Teacher from California, discovered the Seichim carvings of hands facing skyward with chakras in the palms and written in hieroglyphs: - Sekhem - "The Power of Powers". Click the link if you would like more information on courses and workshops.